That's the amount of money given in grants to over 20 Yakima County-based arts and science, non-profit organizations for 2018. The Fresh Ale Hop Festival isn't just, "One of the 10 Best Beer Festivals in the Nation", it's also a vehicle for community enrichment and positive social change. Join us October 5th, at the 17th annual Fresh Hop Ale Festival - to drink some amazing craft beer, and do some good! 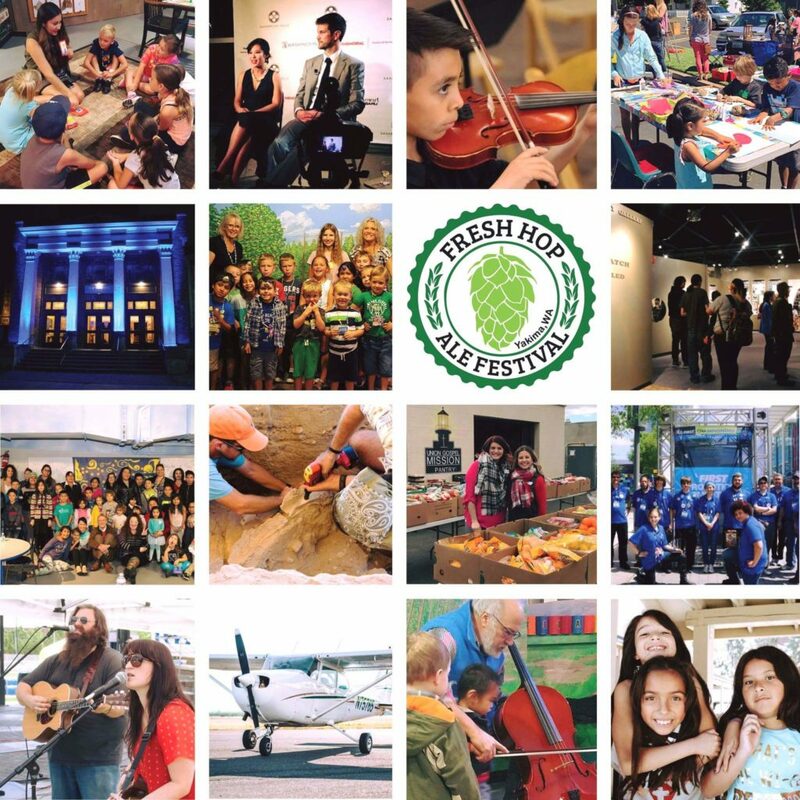 The Fresh Hop Ale Festival is a non-profit organization whose goal is to present one of the country's top 10 beer festivals, celebrate the Yakima Valley's hops, and support Yakima county based arts and science organizations. @2019 Fresh Hop Group, All Rights Reserved. Maintained by Site Savvy.